California pepper fig salsa spears. Quinoa salad with roasted cauliflower and figs. Mission figs sausage sliders. Grilled cheese with fig-onion jam. Griddled fig and prosciutto. Filet mignon with spiced fig Not Ketchup. Lamb daube with orange zest and California Figs. Hot damn! 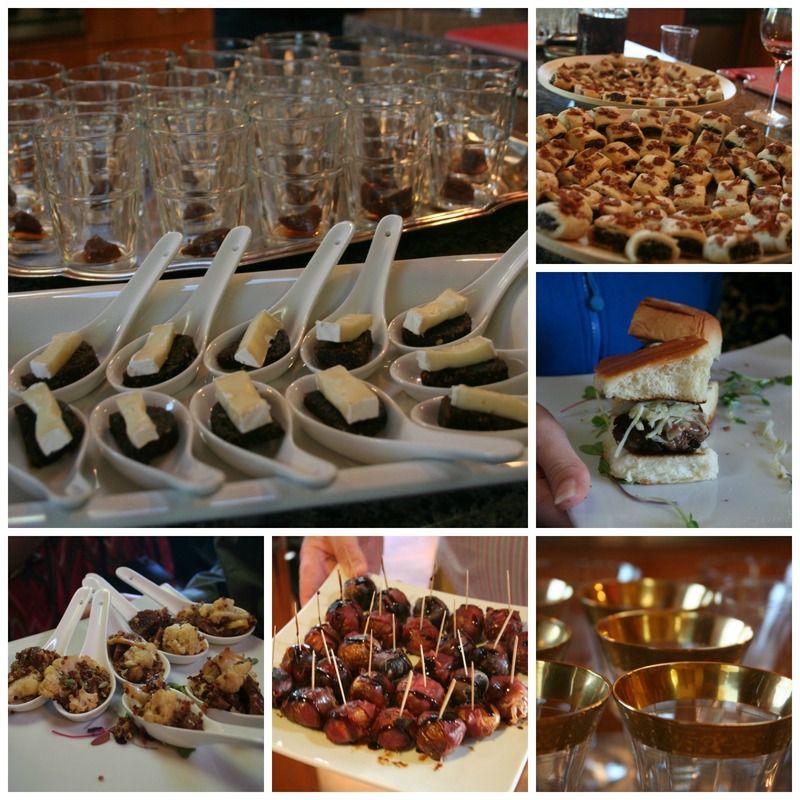 While I am sure a fig pudding would be delicious, the menu at last week’s California Fig tasting was flippin’ fig-tastic! 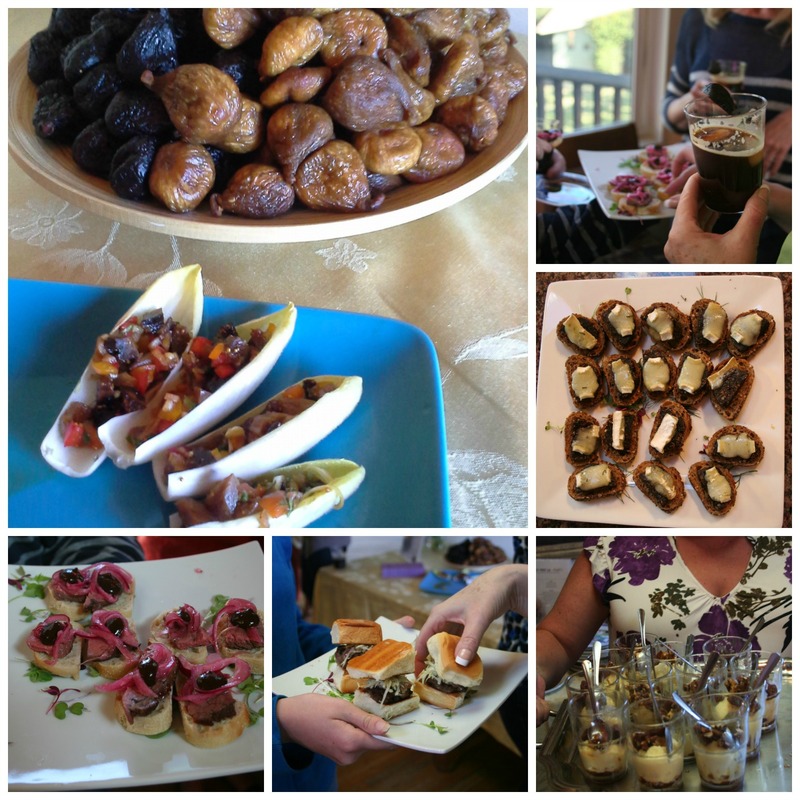 I was thrilled to attend the special fig-centric tasting featuring dried California figs hosted by super bloggers, Erika Penzer Kerekes of In Erika’s Kitchen and Judy Lyness of Two Broads Abroad. The California Fig Advisory Board brought the figs, Mirassou Winery brought the wine, and Erika and Judy brought the party with their fig-inspired menu. Here is the recipe for California Pepper Fig Salsa Spears, but if you follow the link to California Figs you can find hundreds of recipes featuring both fresh and dried figs. Did you know figs are grown almost 100% in California? We are just entering into a long fig season, so pace yourselves in your indulgence. Hope you enjoy and have a figgin’ great day! 1. Place figs, red pepper, shallot, jalapeno, green onion, basil, lemon zest, and lemon juice ingredients in a bowl. 2. Scrape the ginger on a fine Microplane zester over the bowl of ingredients. The result will look like a puree. Mix the salsa to combine, then season with salt and pepper. 3. Cut the ends off the endive and separate the leaves. 4. Fill each endive spear with a tablespoon of the salsa. Arrange on a platter. Serve immediately.